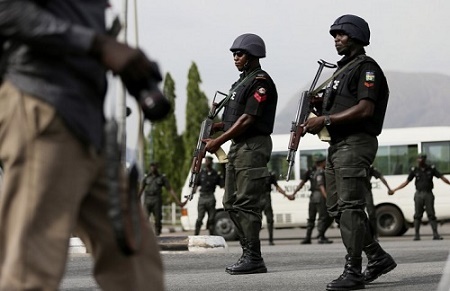 A mobile policeman attached to Zenith Bank, Zaria, on Friday killed his colleague attached to the same bank following disagreement over monthly stipends being given them by the bank. A quarrel ensued between the policemen, Mathew Joshua, who is a corporal, and Aliyu Kamilu, a sergeant, following the discovery that the sergeant had been short-changing the corporal. When Joshua confronted Kamilu on the issue, they started shouting at each other and “the corporal, who was holding on to his rifle shot the sergeant in his stomach.“After shooting the sergeant, Joshua started shouting and shooting, eventually killing a university student,” an eyewitness told NAN.The eyewitness said that four customers of the bank also sustained bullet wounds.“When the report of the incident reached their command in Zaria, a team of policemen was immediately mobilised to the area.“The policemen met their colleague with two rifles. They had no option than to systematically take position.“One of them succeeded in shooting Joshua on the leg, which gave people around the opportunity to descend on him with stones.”He said Joshua, Kamilu and the student were rushed to the Ahmadu Bello University Teaching Hospital, Shika, Zaria. At the hospital the student and Kamilu were confirmed dead. A source at the Police Area Command, Zaria, also confirmed the death of Joshua at ABUTH.“The Nigeria Police has no case because the two policemen gave-up the ghost,” the source said..“Information coming to us now is that the affected policemen have died, therefore, we have no case.”When contacted, the Police Public Relations Officer, Police Command, Kaduna, DSP Aliyu Usman, confirmed the incident. He, however, said that he had yet to get details on the matter. » Horror! Man Kills Wife In Niger For Cheating!